..and it's more exciting than fairies. ...and I'm not sure if they living in the old cherry tree stump or under my shed (or eating my shed). Actually the latter is inaccurate: the larvae feed on rotting wood whilst the adults are partial to a bit of soft fruit. 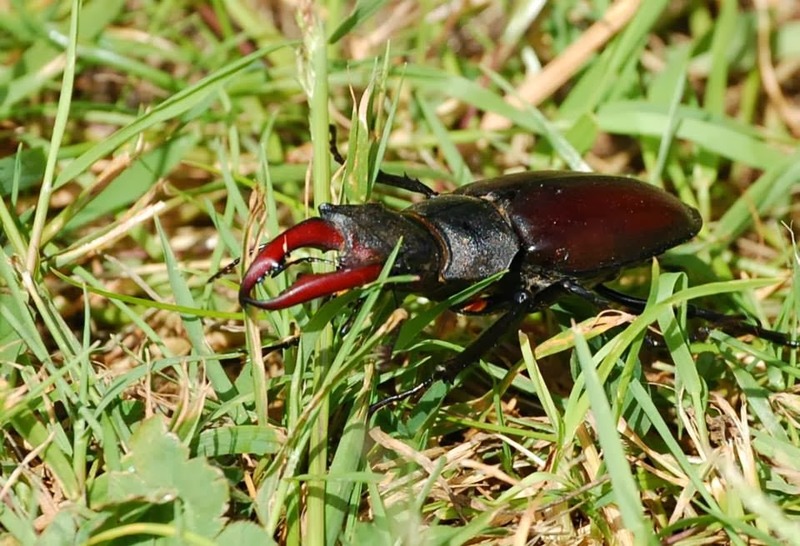 Stag Beetles, Britain's largest insect, despite what look like jaws or mandible, do NOT bite. The 'antlers' are for battling other males at mating time.